This session discusses the obligation to provide a safe and healthy workplace, free from recognized hazards. 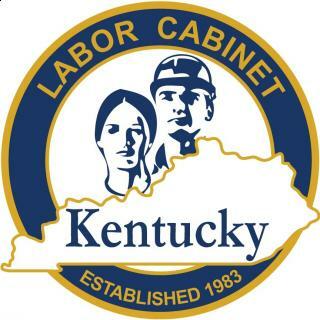 Topics of discussion include the operations of the Kentucky Occupational Safety and Health Program, including enforcement and voluntary compliance services, and safety and health topics currently being considered for future standards and policies. This session explains the measures that must be implemented to protect employees from the hazards of occupational exposure to blood and other potentially infectious materials containing bloodborne pathogens, such as hepatitis B virus, and human immunodeficiency virus. Topics of discussion include applicable definitions, infection control, engineering and work practice controls, including universal precautions, personal protective equipment, housekeeping; medical evaluations, warning signs and labels, and training of employees. This session explains the regulations regarding entry into and working in confined spaces. Topics of discussion include assessment of the confined space environment, entry into continuous system confined spaces, such as sewers, entry into closed system confined spaces, such as tanks and pits, emergency entry into all confined spaces, and training of employees. This session covers the basic requirements of 29 CFR 1910.1200 and the revised provision of the standard as they relate to the Globally Harmonized System of Classification and Labeling of Chemicals (GHS). Attendees will learn about the revised standard, which will include chemical hazard classification, written program requirements, container labeling and other forms of warning, safety data sheets, and associated phase-in dates for the new requirements under GHS. This session covers the basic requirements of 1910.178. Attendees will learn about the basic aspects of powered industrial trucks (primarily fork lifts), operator training requirements, safe truck operations (including traveling & safety belts), equipment modifications, and associated hazards. This course will not provide operator certification under 1910.178(L). This session addresses major changes which took effect on Nov. 8, 2010. The class provides a basic overview of 1926, Subpart CC, including mobile cranes, tower cranes and certifications requirements for crane operators. Topics also include requirements for riggers, electrical hazards, and crane inspections.